Upon entering the Rovana Valley you will discover a world suspended in time. 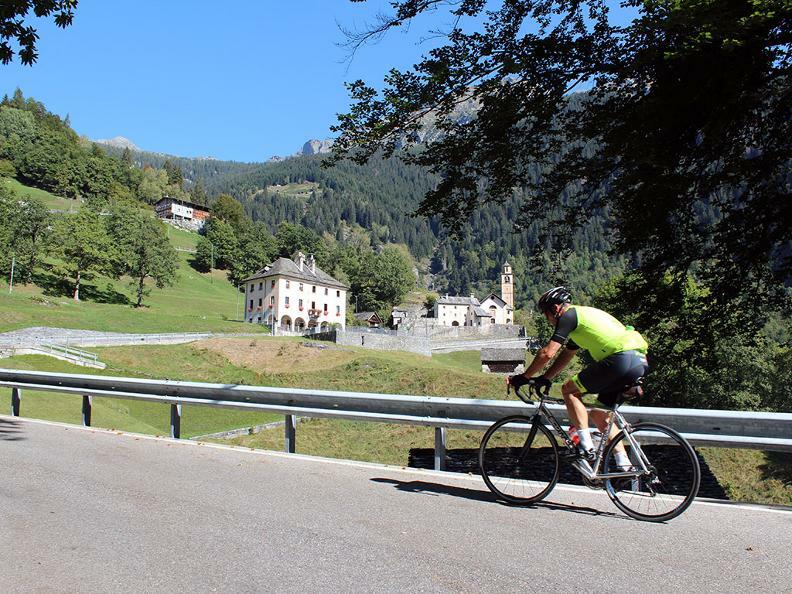 Characteristic stone villages, beautiful terraced meadows and important historical buildings surprise cyclists who make their way up through this Ticino valley that has recorded the highest levels of depopulation over the last century. 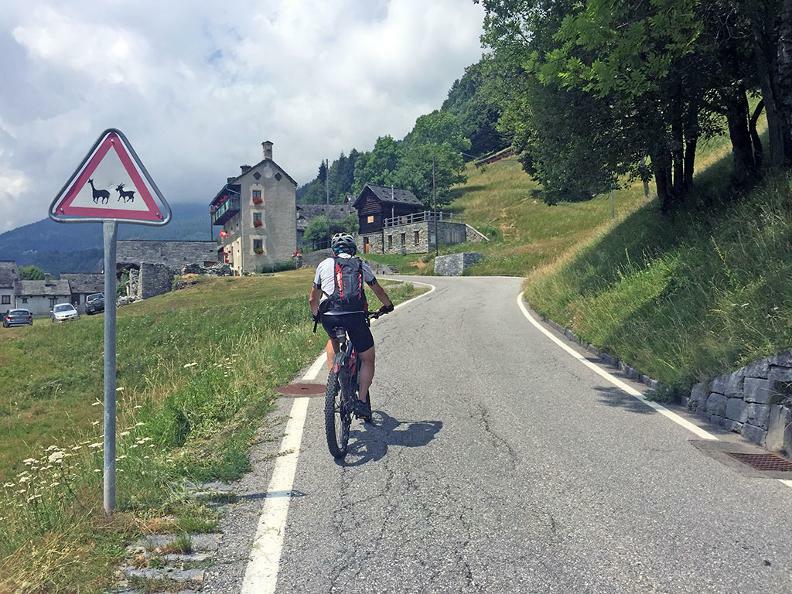 Immediately after Cevio, having left the valley bottom behind, the traffic grows lighter and a series of bends enables you climb to a significant height. 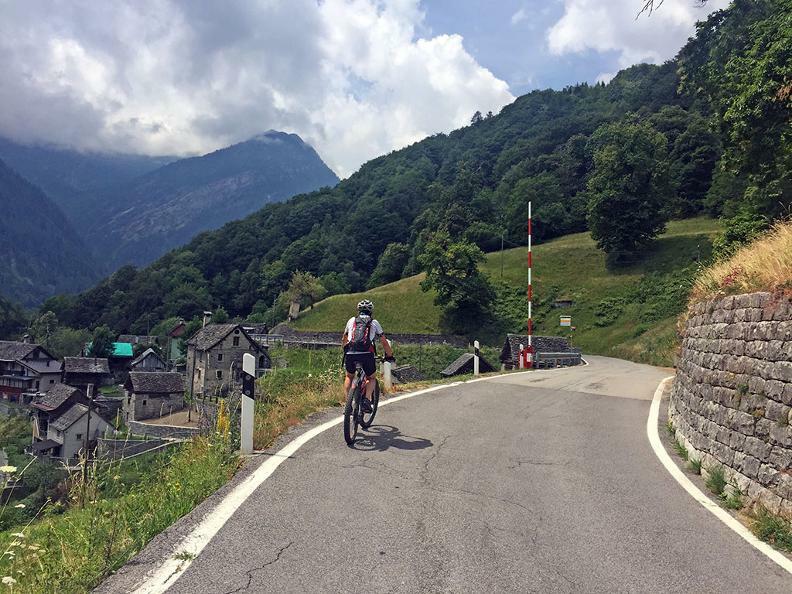 When you get to Linescio, look out for the impressive drystone walls that extend for more than 25 km, characterising the first village in the Rovana Valley. The road continues through chestnut woods and meadows until coming to Cerentino, where it forks. 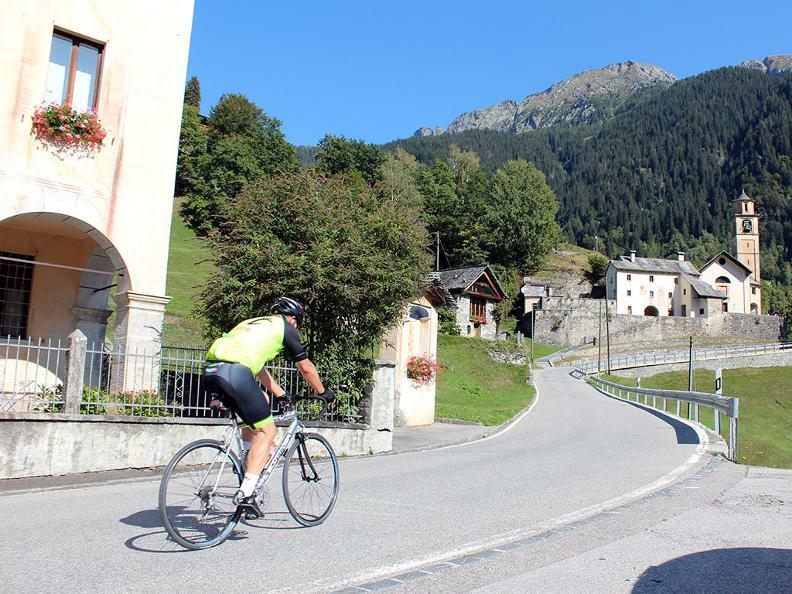 A small road leads out from the centre of the village to the west, heading up to Cimalmotto through Campo Vallemaggia. 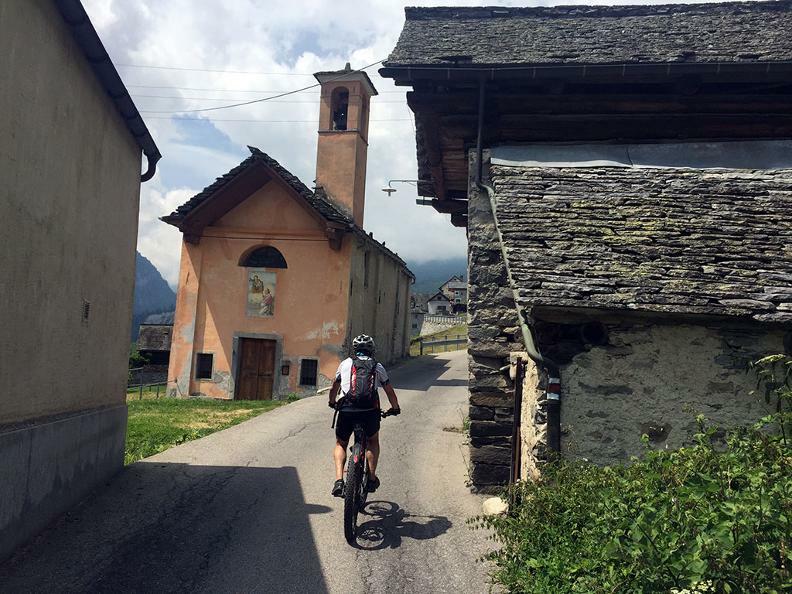 However, continuing along the main route will take you up to the Walser village of Bosco Gurin. 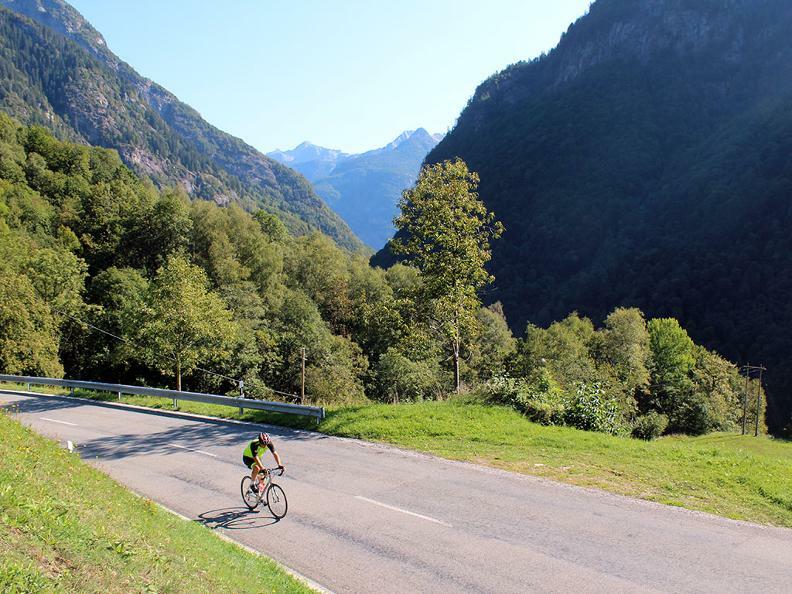 This is Ticino’s only German-speaking village and an unmissable destination for cycling enthusiasts.